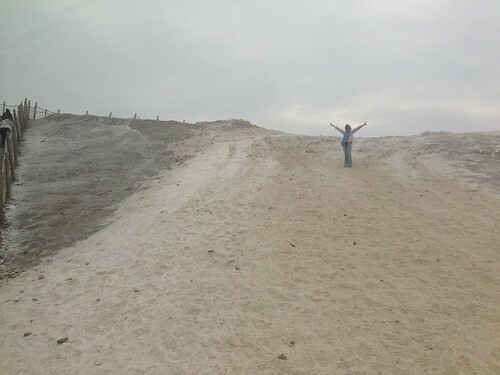 That's Faith atop of what I would say the biggest mount of salt I have ever seen. There is nothing underneath Faith except, salt, salt and more salt. 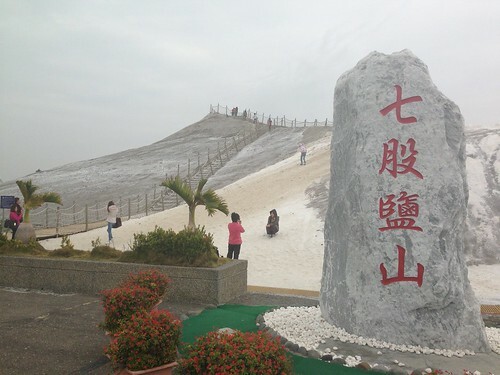 ChiGu Salt Hill is located right next to the sea where they allow sea water to enter during high tide and trapping them when the tide goes out. Next the sea water is evaporated under the sun, leaving a shitload of sea salt where they will scoop them up for processing. 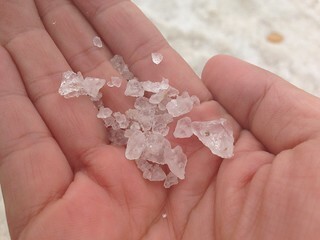 I climbed the salt hill myself and couldn't resist grabbing a pinch (away from the footpaths, of course!) and tasting it. Duh...... but strangely not as salty as table salt as one would come to expect. I took a panoramic picture at the top of the hill.